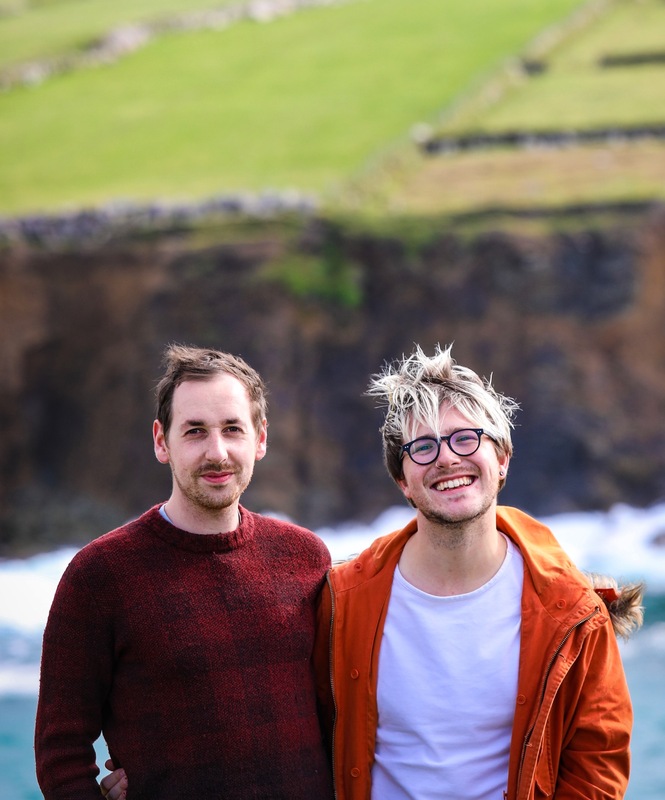 Dine in Dublin is now in it’s fourth year, and to say it’s gone from strength to strength is a bit of a weak, meek understatement. We’ve taken advantage of the dedicated dining out week for the past two years. 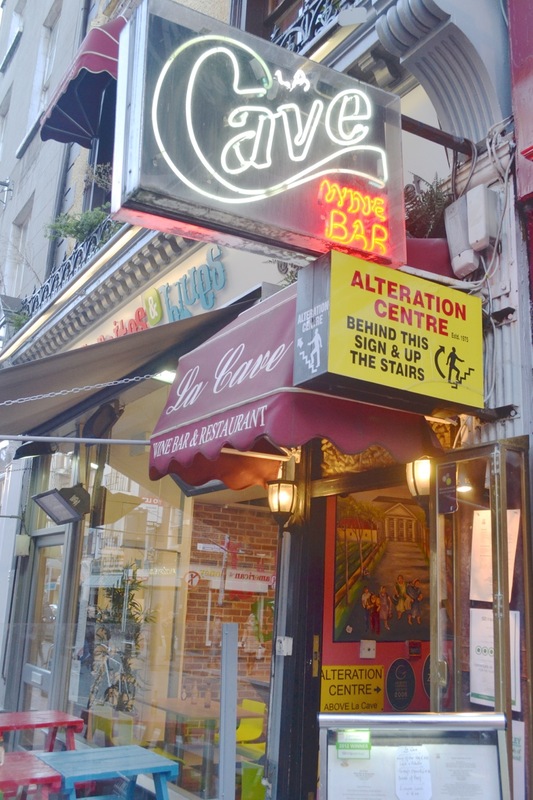 As it happens, one of our very first posts on this blog at the beginning of this year was for Camden Kitchen, where we ate their special DID menu. We were the first ones there; dinner service had barely just begun. By the time we left it was packed beyond belief and we had to literally squeeze ourselves out of the warm, lively dining room and into the damp, dark, cold outside to go home. We’ve returned to CK a few times since, but that visit really sticks out, not only because it was our first, but because of the air of occasion too. Every time we’ve eaten out during DID week it has been to try a new restaurant we’ve never been in before. It’s a fabulous incentive for the diner to stretch their palette on a budget, as well as for the business to draw customers in – giving them a platform to showcase their food to diners they might not have had the chance to feed before, for one reason or another. We are (unashamedly) eagle-eyed, stealthy greedmongers where bargains and specials offers are concerned, but Dine in Dublin is more than just a chance to save a few pennies (that’s reason enough to entertain the idea, though). It’s equally, if not more, about supporting local businesses with your custom, when maybe you ordinarily wouldn’t bother or couldn’t afford to in the economic climate of recent years. Our blog is built upon a similar sentiment and ethos. 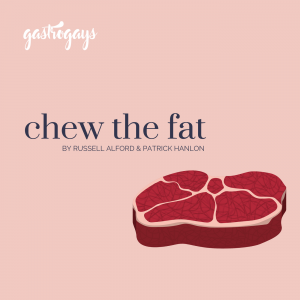 We made a bucket list of restaurants, cafés and bars across Dublin that we wanted to try. All of these were places we had never visited before, but wanted to, either from passing them by, hearing good reviews or being enticed by smells and sights. The idea was to explore our city and to really appreciate what was on our doorstep – wasted on us if we didn’t take full advantage, really. Though our circumstances changed and we moved country, we are still so full of that passion and plan that we originally set out with. 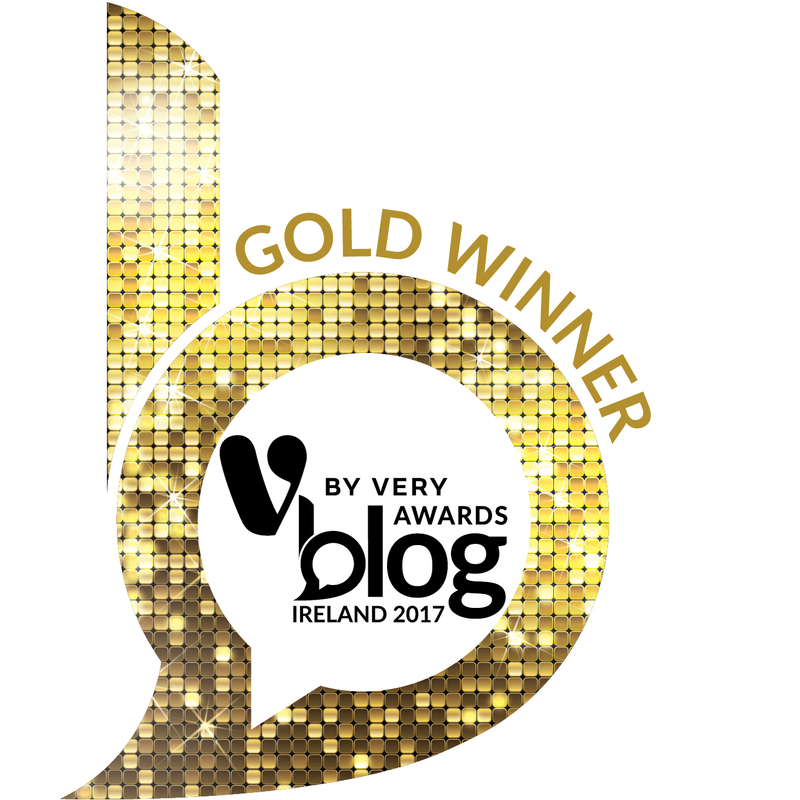 The blog has taken on a new form and the ‘reviews’ aspects has taken a brief back seat to lifestyle, feature and recipe posts while we settle (and earn some money!). Though we can’t attend Dine in Dublin next week, we hope our Irish readers, or anyone travelling to the Irish capital next week, will avail of this great initiative and continue to unlock and appreciate the wonders that lie along the banks of the Liffey and beyond. 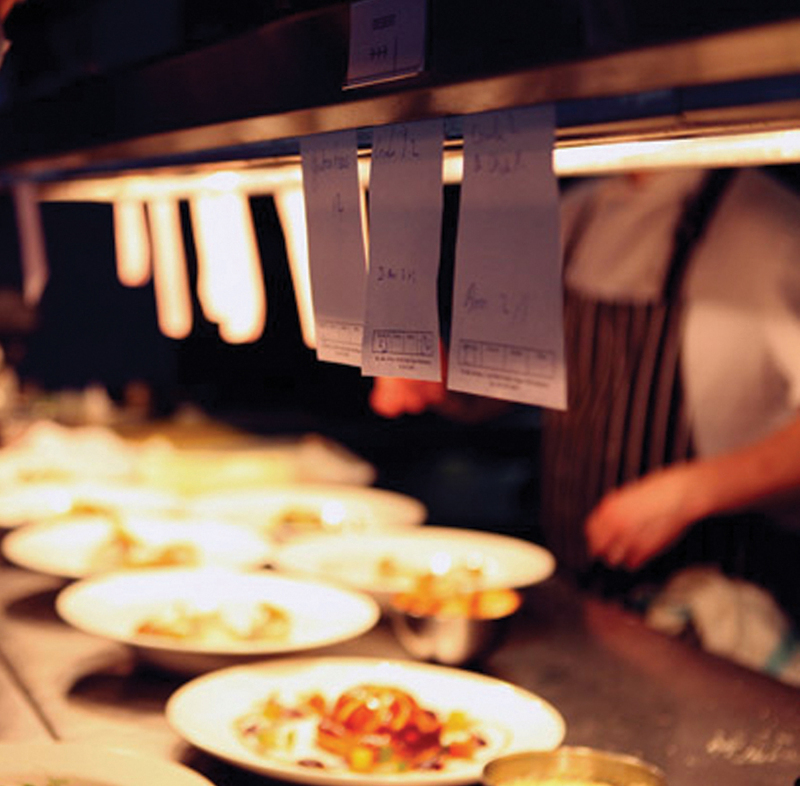 Dine in Dublin runs from Monday 21st of October until Sunday the 27th, mostly focusing on dinner service, but there’s also special events and lunch services on offer too. Here’s some hand-picked specials and tempting deals that we’ve dissected from the ever-expanding list of restaurants, cafés, and bars participating. 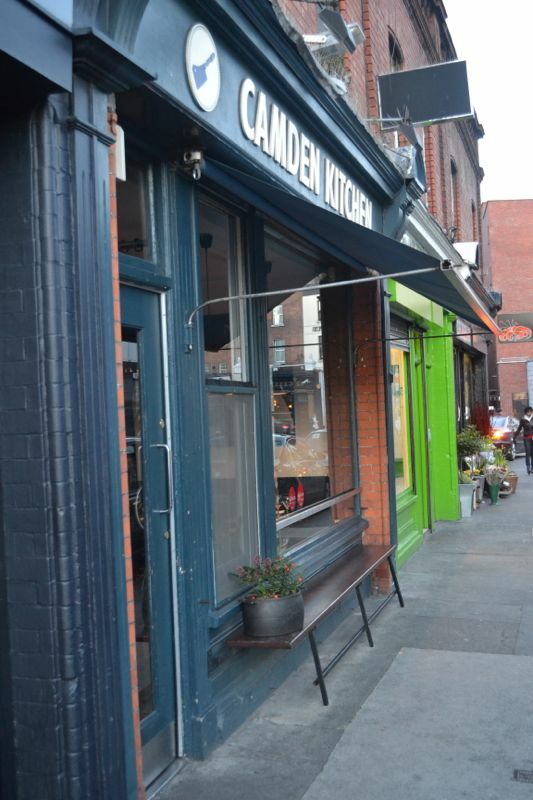 Two places we have blogged about before – Camden Kitchen and Dublin City Food – have special places in our hearts. The former has a constantly evolving dinner menu, and for next week they are providing three courses for €25 pp (no change on last year’s prices). The latter has a fantastic sounding 5-course tasting menu for €50, which also includes two glasses of wine, served in their new restaurant, a floor above their street-level café. 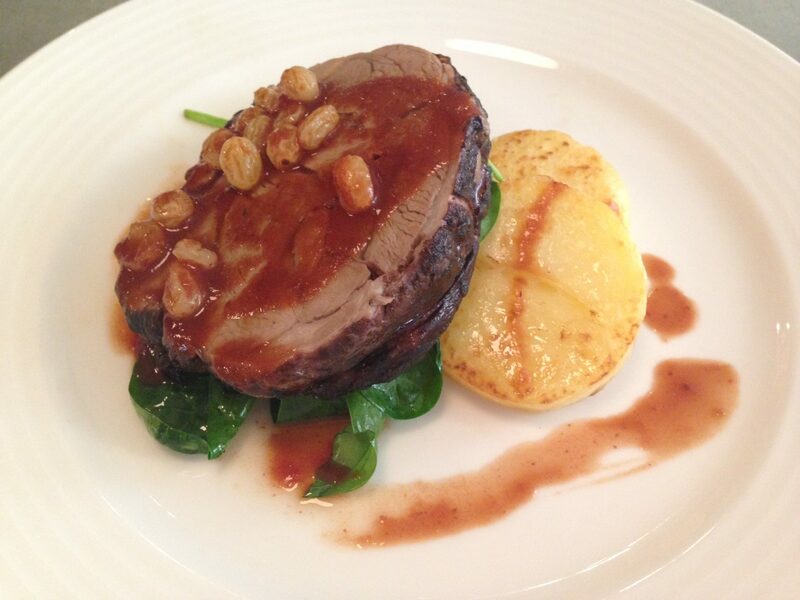 The short ribs main course sounds great to us, and it’s one of the few places we’ve seen them on the menu in Dublin. 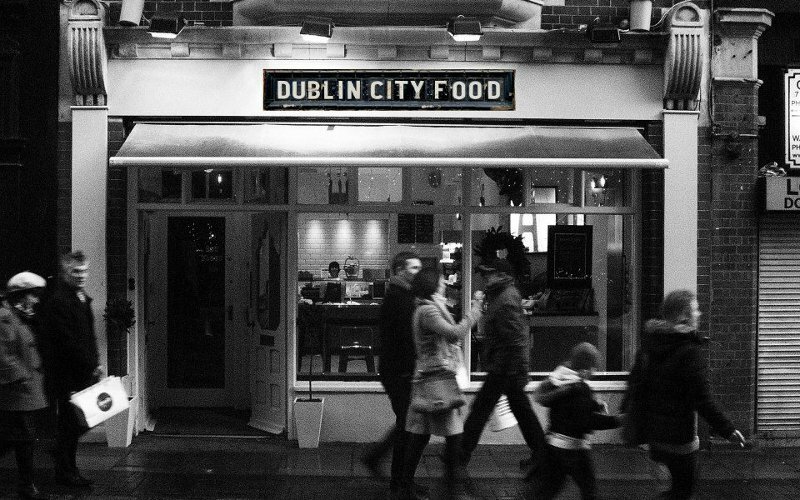 Staying south of the Liffey, you have a long-established favourite of ours – Fallon & Byrne. You can always count on this crowd to deliver, whether that be in the groceries hall, the restaurant, or the wine cellar. For DID they’re offering four courses for €40, with a glass of Prosecco on arrival. From the menu on site, we would start with the tian of cod, followed by the Wexford lamb or Clogherhead hake and would have to finish on the creme caramel. Sublime. Two neighbours around Georges Street Arcade are Brasserie Sixty6 and Fade St. Social. The Brasserie are offering three courses with tea and coffee for €30, and Dylan McGrath’s Fade Street Social offer three courses for €25. Brasserie Sixty6’s menu features slap-up, comforting bistro dishes like lamb meatballs in tomato ragout, followed by a beef burger or prawn and crab risotto, topped off with pecan pie for dessert. 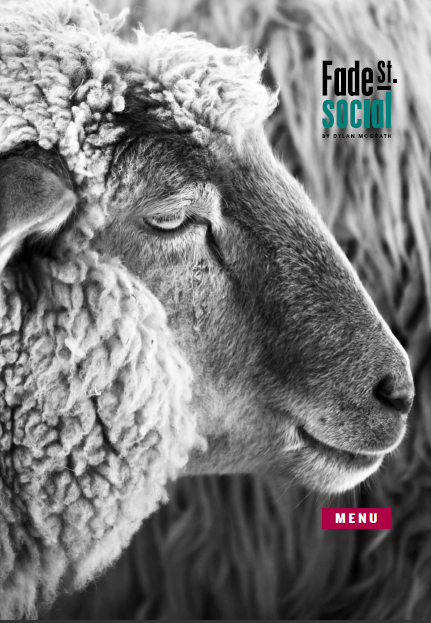 The Fade St. Social has homely, family-style dishes served in a modern, fine dining style. If it was us, we would start on the white pudding and cabbage soup, then tuck into the beef and Guinness stew, and finish on the banoffi. Going northside now, a minute’s dash from the Liffey is the new Brasserie7 on Capel Street. Enjoy four courses, plus a glass of wine, for €30pp. The smoked duck salad followed by the confit of pork belly main and finished with a bourbon creme brulée is a dream-like three courses for us! 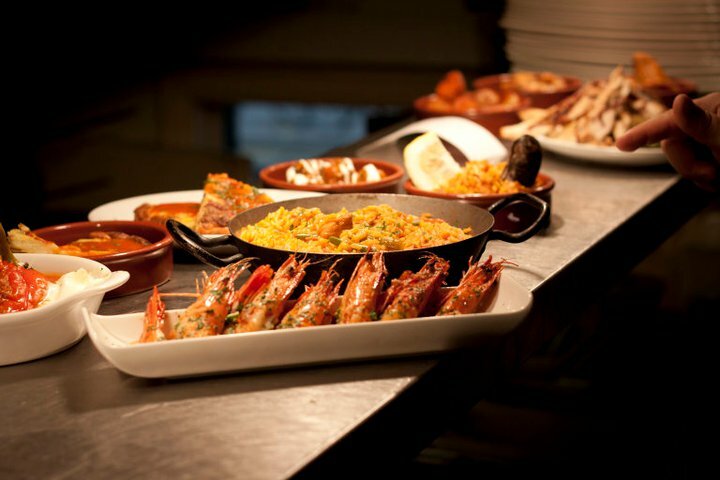 Salamanca, situated just a street away from Grafton Street, is offering a selection of their best, and most celebrated, tapas dishes with wine for €25pp. Croquettes with ham, calamari, garlic prawns, albondigas (meatballs) and profiteroles. Need we say more? If you want to stay international next week, you can also try out something new in the likes of Jaipur (Indian), Saba (Thai), and Acapulco (Mexcan), which are all in Dublin 2 and each have enticing specials throughout the week. La Cave Wine Bar lies just off Grafton Street, at basement level on South Anne St. Aside from their substantial wine list, they do traditional French food too, and their DID menu features a wine-matching event. 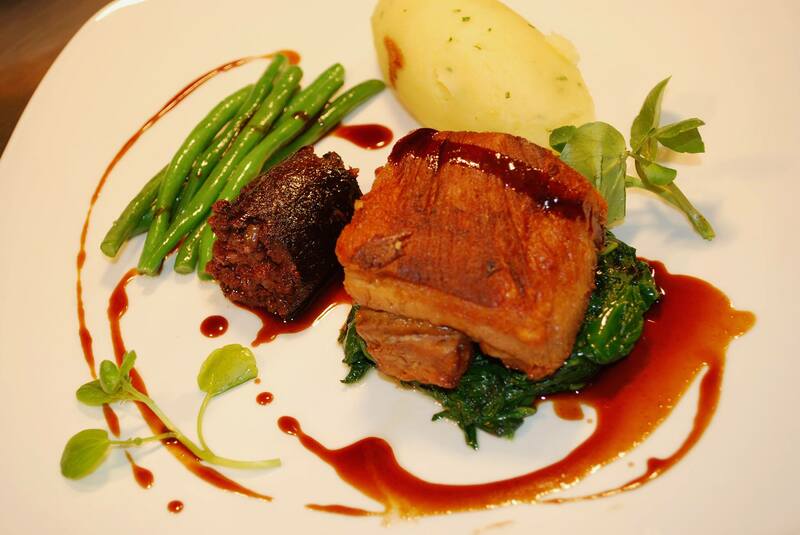 €35pp for three courses, with a matched wine for each dish. We are salivating over the crab tartlet, the ravioli (or steak) and the tarte tatin. A restaurant we’ve never had the chance to eat in is Parnell Street’s modern Irish restaurant The Hot Stove. It’s still in it’s first year, having opened in January 2013, and from the snippet of the menu we have seen this is top of our list to try when we are next home. 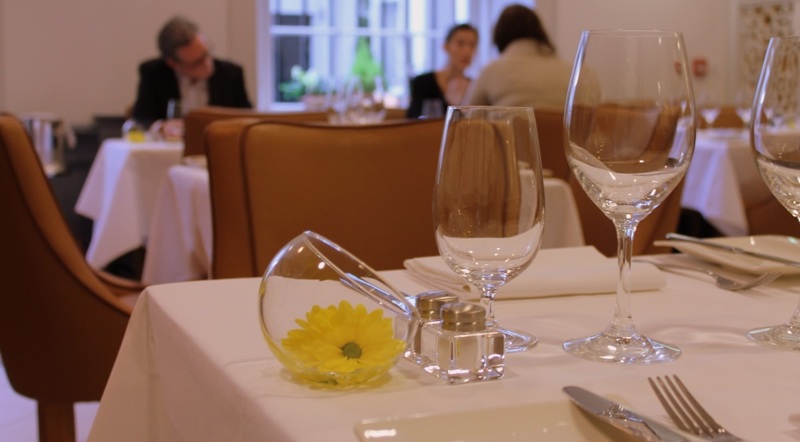 For Dine in Dublin, their offer is an amazing seven course tasting dinner menu for €50pp. Why not take advantage of their lunch offer too, which is six courses for €35pp (and offers a few of the dinner menu choices too! Lunch is served from 12pm until 2:30pm Tuesday to Friday. 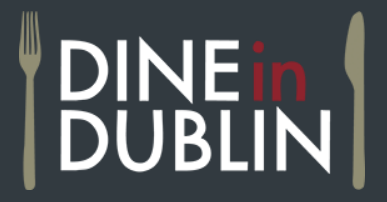 Dine In Dublin is organised by DublinTown.ie and for all the information you need on menus and restaurant contact details, log on to the shiny, new DineInDublin website. Let us know in the comments below, or on Twitter and Facebook, if you tried any of our suggestions – but don’t tease us too much! *Disclaimer – we were not contacted by the organisers of Dine In Dublin to put up this post. This is simply our own experiences, observations and personal support.